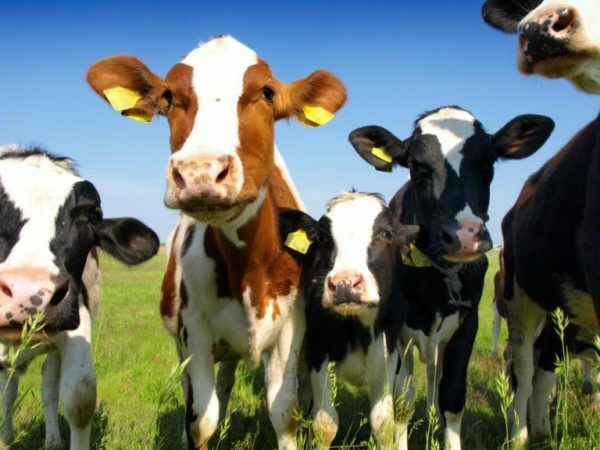 A new £6m centre that will position the University of Nottingham at the forefront of research into the health, nutrition and welfare of dairy cows has been officially unveiled at its Sutton Bonington campus. The new Centre for Dairy Science Innovation is a state-of-the-art extension to the University’s longstanding dairy facilities and will offer the latest research technologies for studying a range of dairy-related topics including mastitis control, antimicrobial resistance, feed efficiency, environmental emissions and new so-called wearable technologies for the herd. Among the technologies in use are robotic milking machines that allow the cows to decide when they are ready to be milked and robot ‘scrapers’ which help to maintain the general hygiene of the facility by automatically disposing of waste. Jointly funded by the University and the Centre for Innovation and Excellence in Livestock (CIEL), by the UK’s innovation agency, Innovate UK, as part of the UK’s Agri-Tech Strategy, the facility brings together researchers from the University’s Schools of Biosciences and Veterinary Medicine and Science alongside industry. It was opened by Sir Peter Kendall, Chairman of the Agriculture and Horticulture Development Board, and former President of the National Farmers’ Union and World Farmers Organisation. Martin Green, Professor of Cattle Health and Epidemiology in the University’s School of Veterinary Medicine and Science, said: “The University of Nottingham already has an international reputation for the excellence of its research into cattle health and nutrition and this centre will help us to cement our position as leaders in the field. The new facility will increase the size of the University’s dairy herd from 240 to 360 cows and will be focused on four main areas of research. A new building will be the focus on emerging technologies to prevent disease and improve cow welfare. The unique flexible housing facility for two groups of around 30 animals will allow researchers to evaluate the impact of the environment on the health, welfare and physiology of housed dairy cows. It will be possible to test the effects of building layout, access to indoor and outdoor loafing space, feed space and bedding on cow physiology, production, health, welfare and economics. Professor Martin Green and Drs Jasmeet Kaler and Chris Hudson, in the University’s School of Veterinary Medicine and Health, are particularly interested in whether technologies such as wearable and bolus sensors connected through the internet could help vets and farmers to more closely monitor cattle and predict disease. New cutting-edge laboratory facilities will expand the Dairy Herd Health Group’s capacity to study mastitis and investigate novel therapies and vaccines derived from new genomic technologies. These areas of research, led by Professor Jamie Leigh and Dr Tracey Coffey in the University’s School of Veterinary Medicine and Health, are concentrated on the leading causes of mastitis in the UK. Lyndsay Chapman, CIEL’s CEO, said: “With over 98% of British households regularly consuming dairy products, and a growing level of volatility in UK markets, investment in targeted R&D and supporting infrastructure is essential for supply chain resilience. The health and welfare of dairy herds is key to maximising production efficiency and this new centre significantly adds to our research capability in this area.